If you liked Sudoku or Minesweeper, you'll love this game. Akari3D is the 3D version of the classic Japanese puzzle Akari also known as Light Up, which takes place on a Cube instead of 2D grid. 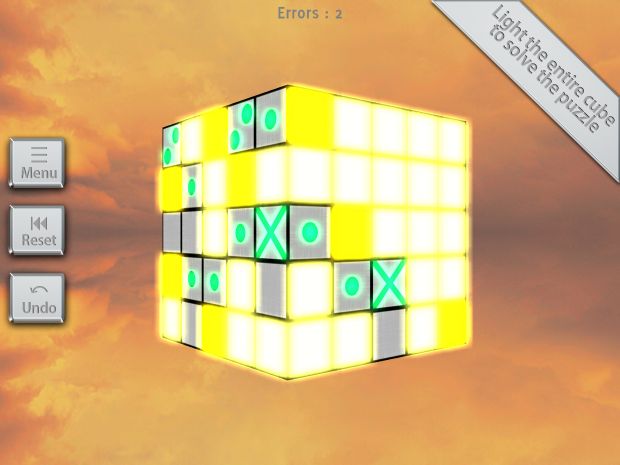 The goal of the game is to place light bulbs in empty cells until the entire cube is lit up. It's a simple, original and very challenging game. Download Akari3D and play now this unique puzzle Game.